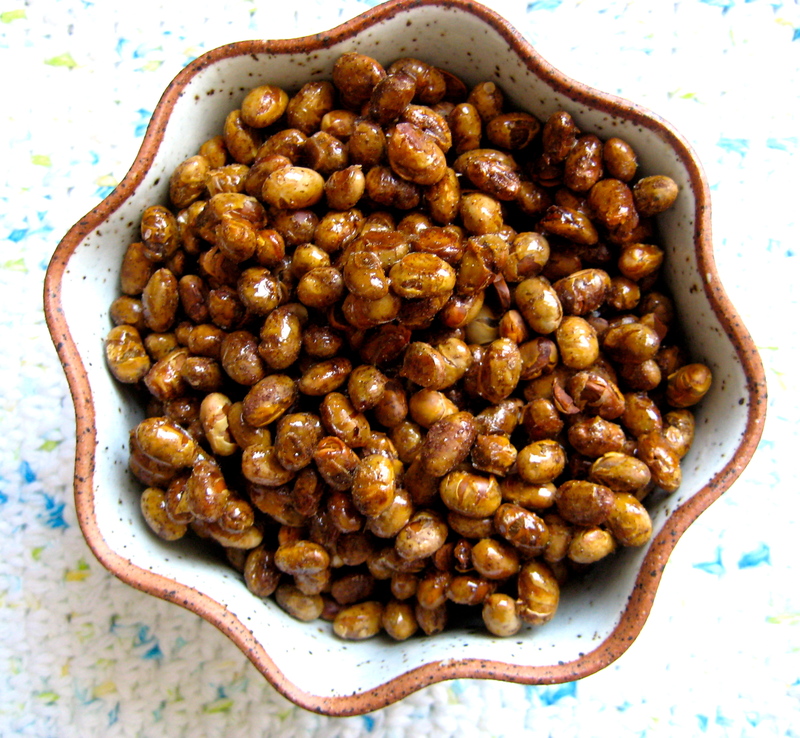 I really like the crunchiness of these soy nuts, and this is also a good base for adding in other things. Crystallized ginger, dried apricots, pumpkin seeds, different spices… you can totally make it your own. Preheat the oven to 350F. Line a baking sheet with aluminum foil. Spread the soaked soybeans in a single layer on a baking sheet. Sprinkle with cinnamon and salt. Bake for 35 to 45 minutes, shaking the pan every 15 minutes or so, until the beans are crunchy. Taste for seasoning. Drizzle the maple syrup over the soybeans, and mix until they are all coated. Add additional cinnamon and salt if desired. Bake for about 3 minutes, until the maple syrup is bubbling. Cool completely. Yum Yum Yum Yum, What a great snack! I Miss you on my blog, Laurie. Four jobs & a student, how can you do it all??? I ask myself that daily! Good luck, my friend! 🙂 Hang in there,;;;Hugs!